Social media marketing offers an opportunity for a brand to strengthen their relationships with their customers. At the same time, it creates awareness. 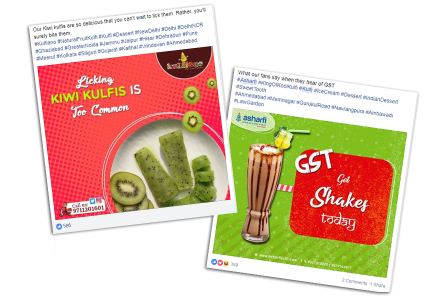 Campaigns involving neat strategies to get more brand-oriented experiences are successfully creating more engaging communities. Both science and art should be combined to frame an effective social media marketing strategy. The 4Source Technologies team helps you to build trust with brand and customers across Facebook, LinkedIn, Twitter, Instagram, and Pinterest so that you can hit huge audiences. Increase your audience in a creative way. We plan campaign for you considering your business objectives. 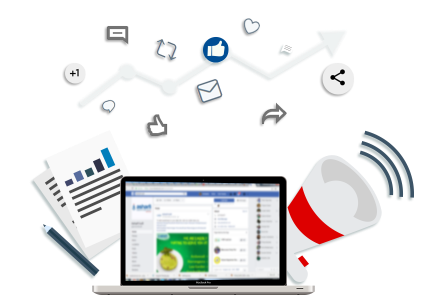 Our team uses cutting-edge tools like socialmention, topsy, fanpagekarma and many more to conduct social media audit. It helps us to analyze your performance across various channels, success metrics of your competitors, important conversations about your brand and share your suggestions accordingly. Following these communications and reports, it help us to know what important steps need to be taken and strategies need to be framed. Once the listening audit is done, content plan, visual designs, and drive book are the steps we follow consecutively. We check the content you upload and find out how it can generate more leads. To increase the exposure of your content, we also optimize the social channels for different search engines. Your content gets noticed only when it is strong enough to stand out from the crowd. Whether you want more social sharing or lead generation, our social media amplification process will surely engage your audience. We boost your brand value through customization of your Facebook page, streamlining your Instagram, creating company profiles on LinkedIn, and others. While doing social media amplification, we share content that help the visitors to get what they want. Such a meaningful content enjoys more share from qualified audiences leading to huge positive conversations centering your brand. We monitor our conducted campaigns to generate reports having un-biased opinions. Our team not only completes your custom profile but also manage their communities daily to give maximum profit out of engaging.